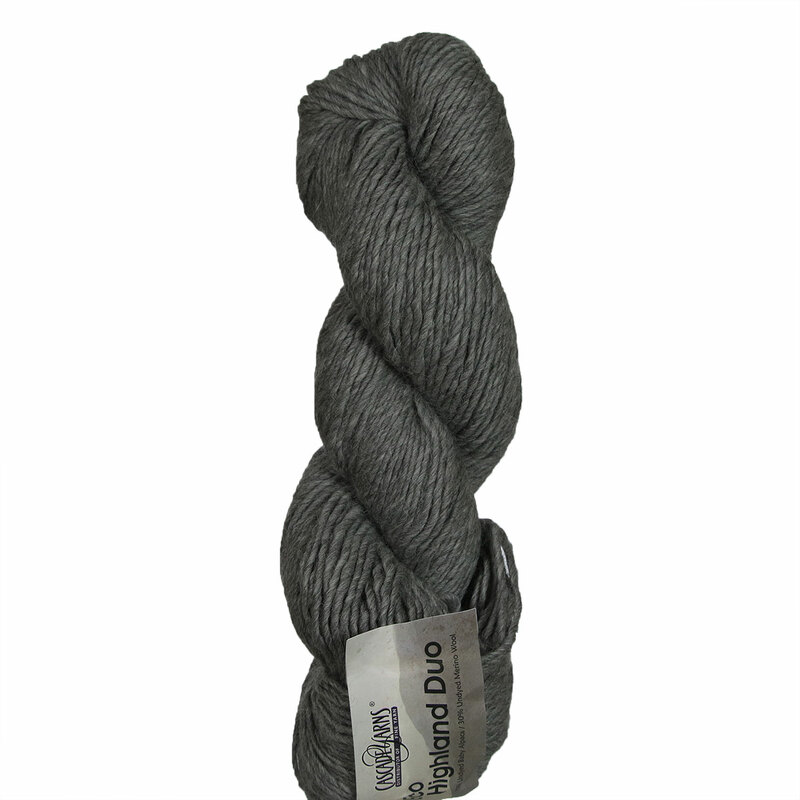 A soft mix of Baby Alpaca and Merino Wool makes Cascade's Eco Highland Duo a great choice for warm winter projects. All the colors are as you would find them on the animals - nothing is dyed. Cascade Highland Duo Yarn is a similar yarn: alpaca, hand wash, heavy worsted/aran (16-18 sts/4 in), 4.5 sts / inch, 100 gram, on size 8 US needles, 197 yards. You may also like Cascade Eco Duo Yarn, which is another similar yarn: alpaca, hand wash, 4.5 sts / inch, 100 gram, on size 8 US needles, 197 yards. You may enjoy taking a look at the Cascade Yarns Eco Highland Duo Fishtail Lace Slouch Hat, and Cascade Highland Jul Infinity Scarf kits all using Cascade Eco Highland Duo Yarn. Hopefully our suggested project ideas for Cascade Eco Highland Duo Yarn can help you come up with your next exciting new project idea!